Our beloved mothers and grandmothers need to know how much we love them! It fills them with joy and keeps them going day after day. So what better way to love on your mom or grandma than to give them a lovely, inspirational piece of decor that they can look at every day? Wall Decor Plus More has you covered! We've got decorative quotes for mamas and nanas with every personality type! Sometimes less says more. A quietly beautiful woman will love decor that is simple and yet beautiful and motivating. 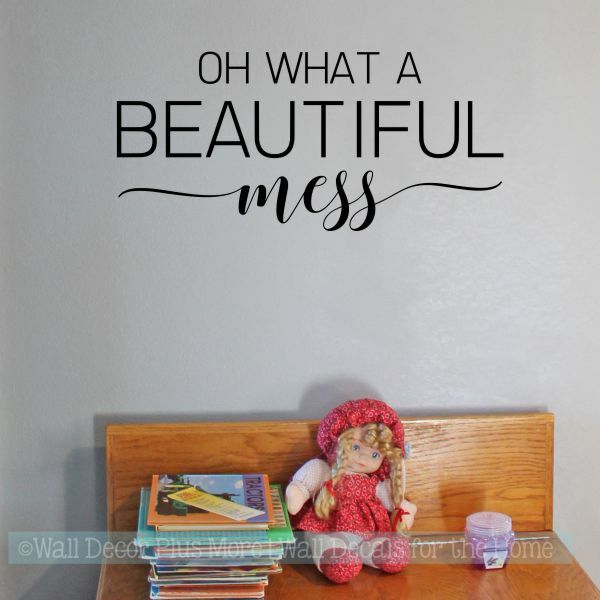 So if your mother or grandmother is this kind of woman, take a look at this wall decal: "Oh what a beautiful mess!" Or go with this short but powerful reminder: "Too blessed to be stressed." Some moms and grandmoms just have a great sense of humor. And they love it when you turn it right back on them. Would your mom get a kick out of this hilarious decal: "WASH YOUR HANDS. Mom said so." Or would your nana be delighted with this one: "If mom says no, ask Nana. 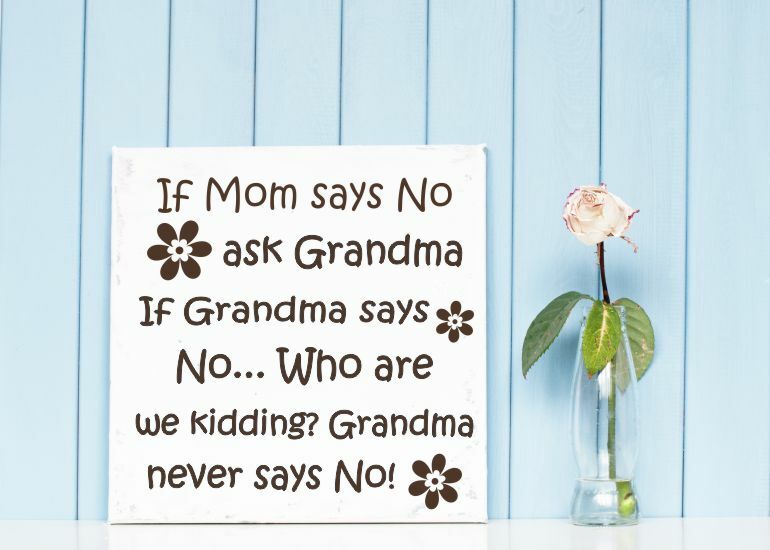 If Nana says no... Who are we kidding? Nana never says no." It's true, isn't it? Some mamas and grandmas are chock-full of pure sass. You know them when you seen them. Our "My Kitchen, My Rules" wall decal is a great gift for these gals because sums up their attitude so well. For a mama or grandma who's not afraid to be classy and sassy, consider this car decal that simply proclaims: "Glam Ma." That says it all! We've all known those ladies who are simply sweethearts through and through. They are full of love for everyone; they're always ready to give you a cookie and hear about your day. Consider a heartfelt, loving message that reminds them daily what a treasure they are. "All that I am or ever hope to be, I owe to my angel mother," is one of the best things you could put on your mom's wall. Or for your grandmother, "A garden of love grows in a grandmother's heart" just might be the perfect thing. For more fun and sweet ideas, take a look at our entire collection. Your mother or grandmother deserves the best!